After two years of women and girls being violated by the men of the community, eight Mennonite women come together to conduct a secret meeting. They are determined to decide how to best protect themselves and their daughters from future harm. Though illiterate, unable to speak the language of the country they live in, and without knowledge of the world outside their community, the women know they have very little time to make a choice: Should they stay in the lives they know, or do they dare leave? Based on real events and told through the “minutes” of the women’s all-female symposium, Toews creates an engaging and poignant story of women claiming their own power to decide. 1. 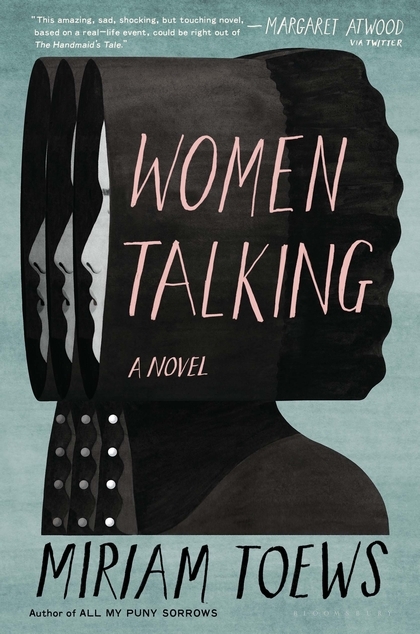 Women Talking begins with “A Note on the Novel” which explains that the story is a fictionalized account of real events. What is the difference between reading this novel versus reading a news story or nonfiction book about these events? What questions does Women Talking encourage readers to ask themselves about these events and the environment in which they occur? 2. The book is told through August Epp’s notes from the women’s meetings. Why does Toews choose Epp to narrate this story? How does his perspective, gender, and personal history affect the vantage from which the story is told? 3. The women frequently discuss the complexity of continuing to love many of the men in their community despite their fear and they contemplate the circumstances under which the men would be allowed to join them in their new society. 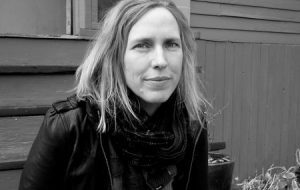 In what ways does the novel explore questions about male experiences, perspectives, and culture? 4. Which of the options would you have taken if you were one of the women? Explain why. Consider the consequences and benefits of your choice. How would you convince the others to join you? 5. The book examines both sexual and domestic violence. How does the women’s environment and circumstances dictate how they understand, interpret, and, ultimately, deal with violence? How does this intersect with their religious faith and their beliefs about their place in the world? 6. Discuss the power of language and literacy. How would the women’s lives be changed if they could read? How does their ability to interpret the Bible for themselves change the women’s understanding of their future? 7. How does this novel engage with mainstream political and social conversations about women and their rights?